Women In Film has announced that film and television actress Melissa McCarthy will host this year’s Crystal + Lucy Awards on Thursday, June 16 evening, in the Beverly Hilton International Ballroom. Women In Film and PANDORA have also announced that the 2011 Norma Zarky Humanitarian Award, presented by PANDORA, will be given to Dame Elizabeth Taylor. It will be accepted by Naomi Wilding on behalf of her late grandmother. “We believe all women of the world are unique and precious. They live different lives in different cultures, and yet they are all fabulous in their own, individual ways. At PANDORA we celebrate all these personalities and their unforgettable moments. All stories are worth sharing and honoring, and so is the story of the humanitarian work done by the late Elizabeth Taylor, which we are thrilled to be able to give tribute to, together with WIF,” said Mikkel Berg, Executive Director of Marketing, about the award. 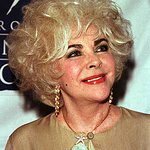 For nearly two decades, Elizabeth Taylor was a leader in AIDS activism, including her founding role in the American Foundation for AIDS Research (amfAR), and establishment of The Elizabeth Taylor AIDS Foundation (ETAF). Elizabeth Taylor began her work as a spokesperson and fundraiser in the struggle against AIDS in the early 1980s. A mysterious virus had appeared in the community, a fatal illness of unknown origin that sent shockwaves of fear across the nation. Great stigma accompanied this fear, and Ms. Taylor’s determined outspokenness was indeed controversial. When Rock Hudson died, a well-known face was put to the disease, and awareness was slowly born. Ms. Taylor’s work began with fundraising for an AIDS Project Los Angeles (APLA) dinner, the first major AIDS benefit ever held. This support marked the debut of her public commitment to raising funds and awareness for AIDS. In 1985, Ms. Taylor joined with Dr. Mathilde Krim and a small group of physicians and scientists to form the American Foundation for AIDS Research (amfAR). As amfAR’s Founding National Chairman, she used her celebrity to take the issue of HIV/AIDS to the mainstream media. Ms. Taylor became a potent force in mobilizing the entertainment, arts and fashion communities to step up their initiatives in connection with AIDS, traveling extensively to speak at conferences, concert venues and benefit events around the globe. She testified before Congress to ensure Senate support for the Ryan White CARE Act, spoke before the National Press Club, and addressed the General Assembly at the United Nations on World AIDS Day. In October, 1991, Ms. Taylor established The Elizabeth Taylor AIDS Foundation (ETAF). With a focus on direct patient care, ETAF provides funding to AIDS service organizations throughout the world to assist those living with HIV and AIDS. Since its inception, the Foundation has raised funds for HIV/AIDS service organizations throughout the world, providing critically-needed support services and prevention education. A current major effort is providing mobile medical van units, bringing doctors and medicines directly to those most in need, whether in cities in the United States or in villages throughout sub-Saharan Africa.